Conductor, violinist and composer Jaakko Kuusisto (b. 1974) studied the violin with Géza Szilvay and Tuomas Haapanen at the Sibelius Academy, and with Miriam Fried and Paul Biss at Indiana University. He has studied composition with Eero Hämeenniemi and David Dzubay. Jaakko Kuusisto was appointed concertmaster of the Lahti Symphony Orchestra in 1999 and has since then enjoyed a close collaboration with their Music Director Osmo Vänskä. In 2002 he stepped in for Peter Schreier to conduct Schubert's Symphony No.3 and his talent for conducting was immediately recognised. Since then, in addition to continuing in his position as concertmaster, he has conducted the orchestra for several weeks a season in Lahti, and has received professional tuition from Maestro Vänskä. His success has led to guest conducting invitations elsewhere, including performances with the Tapiola and Västeräs Sinfoniettas, the Finnish Radio Symphony, Helsinki Philharmonic, Ostrobothnian Chamber Orchestra, and Savonlinna Festival Opera. 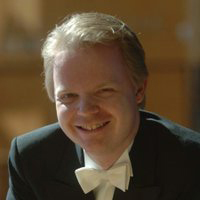 In 2005 Jaakko Kuusisto took up the post of Principal Guest Conductor of the Oulu Symphony Orchestra and made his debut with the Trondheim Symphony and Tallinn Chamber Orchestras. As a violinist, Mr Kuusisto holds a long list of competition prizes. He won the Kuopio Violin Competition in 1989, and during the following years took top prizes in the Sibelius, Indianapolis and Carl Nielsen competitions. In 1997 he reached the finals in the Queen Elisabeth competition in Brussels. Appearances as soloist and chamber musician have taken him across Europe, and to the Far East, and they include the Minnesota Orchestra, the Iceland, Princeton (US), Sydney (Australia) and Lahti Symphony Orchestras. As a composer he has been increasingly active and his works have been performed at several concerts in Scandinavia, as well as in the UK and the United States. His 'Between Seasons' suite has been recorded by the Helsinki Strings for the Finlandia label, and his children's opera ‘The Canine Kalevala' had outstanding success at Savonlinna in both 2004 and 2005. In March 2006 Ondine released his début recording as a conductor, featuring the music of Iiro Rantala (ODE 1071-2), and he has made a number of recordings as a violinist, including Bach's violin concertos (ODE 980-2). Jaakko Kuusisto plays a Matteo Goffriller violin dated 1702.